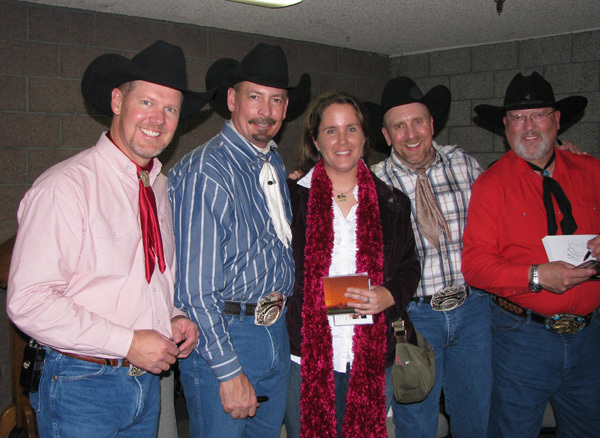 My life, under the microscope...: The Bar J Wranglers! 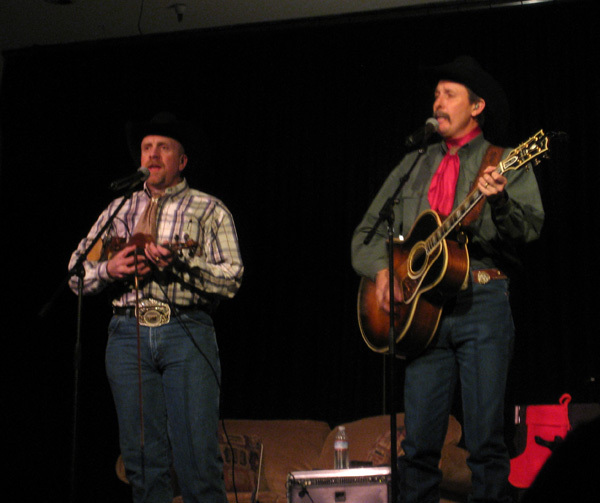 As you'll surely recall from reading my adventures here on the blog, back in September when I was up in Jackson, WY, Bryan and I went to the Bar J Chuckwagon for dinner, and entertainment in the form of the Bar J Wranglers. It was love at first sight. ;-) I was totally smitten with these guys, and while getting my CD autographed afterwards they asked where I was from, and I said California, and they told me they'd be playing a Christmas show in Oroville and that I should come see it. Well heck YEAH! Like I'd miss a chance to see them again, and less than a two hour drive from home! Jan went with me last night, and we arrived sufficiently early for us to be right up at the front of the line, and get seats in the third row (only because the first two rows were reserved!) They were fabulous and wonderful and so funny and so talented. I adore them! 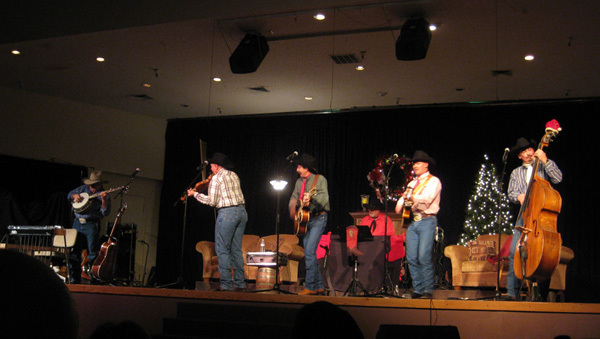 They played some Christmas songs, some cowboy songs, and some spiritual songs (the concert was in a church). It was just the right mix of music, and lots of humor too. 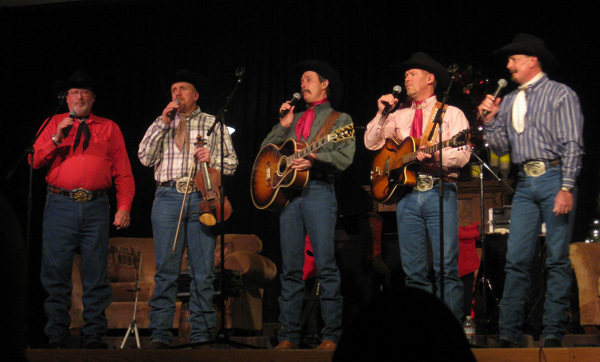 The regular group consists of Bryan Humphrey, Scott Humphrey, Tim Hodgson, Donnie Cook, and Danny Rogers (swoon!). Sometimes the founder of the group, Babe Humphrey, will join in (he was there yesterday! 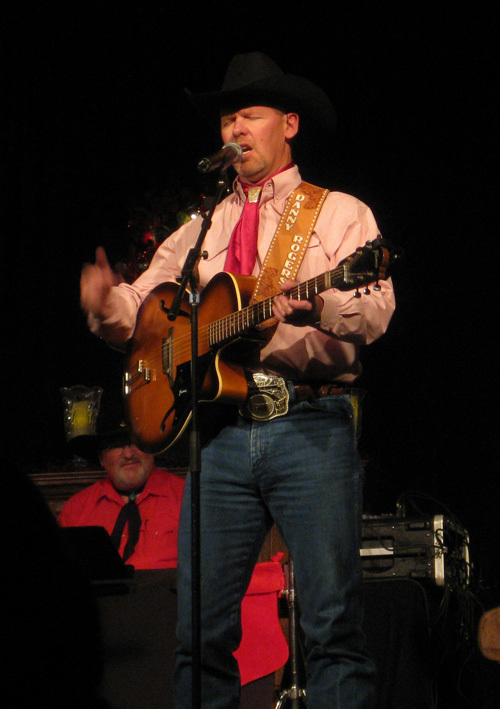 He's in the Western Music Hall of Fame! 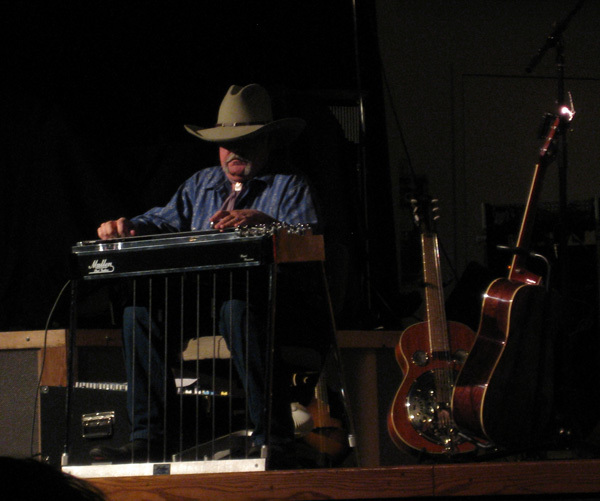 ), and for the holiday shows they also have a keyboard player named Don Christensen. I tried to take some short videos on my camera to show to a couple of friends, but sadly I found out this morning that I'd left my camera on time lapse video mode (because the last thing I videoed was Old Faithful back in September and I didn't even think to check it, I so rarely use the video mode!) I'm really bummed about that. Time lapse + concert = no, that doesn't work! Sigh. You can find some videos on line though (not anything I did). 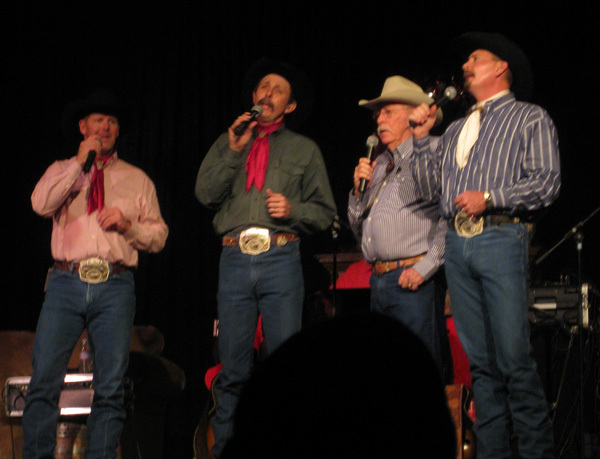 But I did get some photos, so for all of you who like cowboys (me me me memememe!!!!!!!!!!) here you go! Danny (swoon!!!!). Can I put him on my Christmas list? I definitely want to see them again!!! It's been a fun weekend. But I'll be payin' for it in the next week and a half! Nose to the grindstone. How cool. You look like you belong with the group. Now those are my kind of fellers. 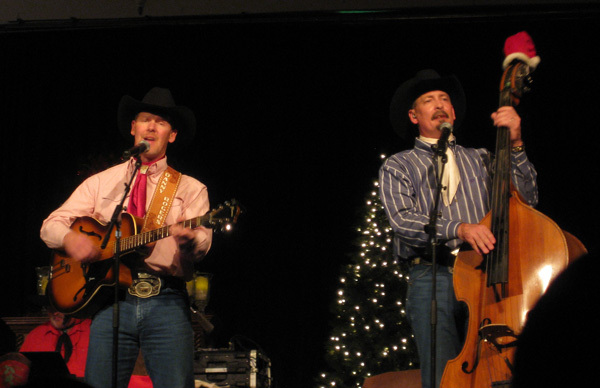 The moral of this story is, next time a friend says something that sounds strange, like "Let's go up to this church in Oroville and hear some cowboys sing," DO IT!! Katherine and I could have taken at least 2 more people in the car, and YOU could have had a great time too.